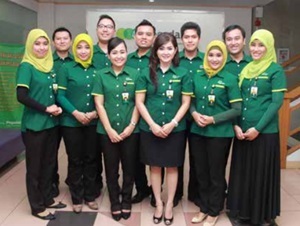 PT Pegadaian (Persero) – Pegadaian is a long standing state-owned financial services company in Indonesia. Established since 1746, Pegadaian has core business focus on pawning loan services. In the business year of 2016, Pegadaian has recorded a positive financial growth and satisfactory performance. According to information found in PT Pegadaian (Persero) Annual Report 2016 as cited by JobsCDC.com, Pegadaian managed to record total asset of Rp 46,873.89 billion in 2016. This reflected an 19.7% increase year-on-year (YOY). Pegadaian’s total assets in 2015 amounted to Rp 39,157.96 billion. Pegadaian managed to record a 8.67% growth in total operating revenue in 2016 value of Rp 9,708.06 billion as compared with Rp 8,933.34 billion in 2015. Total net income for current year 2016 went up by 14.02% YOY from Rp 1,938.43 billion in 2015 to Rp 2,210.25 billion in 2016,.